The stress of being a student in Nigeria is hectic. From the lecture hall to the library, buying textbooks and handouts, reading, paying your school fees, feeding, and other miscellaneous, coupled with the fact that you are required to come out with a good grade isn’t an easy one. With the current Nigerian situation, most parents are not financially buoyant and are within the range of average to low income earners and so can not provide all that you might need to survive as a student in school. 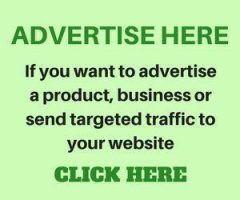 This calls for a Plan B for students in Nigeria to find a way to lessen the burden off their parents and look for other legal means to make money in Nigeria without risking your future or even affecting your grades but serve as a means to put extra cash in your pockets that you can save and use to take car of your needs. If you are looking for business ideas as a student to make money, then this post is for you as we have carefully researched these ideas and highlighted them for your consumption. Are you good in a particular course(s)? If you are then you can offer tutoring services to your fellow students for a fee. The fun of teaching is that as you teach, you learn the more become more enlightened. 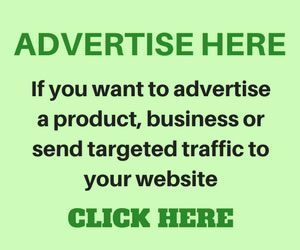 This is one of the hottest ways to make money as a student in Nigeria and online. You would need require a computer to do this. If you are a good graphic or web designer then you should advertise yourself on websites such as Fiverr.com. People pay a lot for services such as web designing and graphic designing on fiverr and you too can tap in on that. You only need to help them create logos, banners, business cards, websites e.t.c for a sum of $5 for each gig ordered for. This is another business idea that can generate cash for a Nigerian student. If you can write very well as a student, I’ll suggest you search the internet for freelance jobs as there are many out there. You can go to sites like fiverr.com, elance.com e.t.c for other freelance jobs. A blogger is one who writes about anything he or she has passion for. No topic is exhaustible. Are you a student who is passionate about sports, entertainment, health? Then you can create a blog and write on topics related to that subject. The joy of creating a blog is that you can create one without spending a dime. Your only tool is a laptop and access to the internet. Blogging requires patience, time and consistency. To create a free blog, i’ll suggest you head to blogger.com and start a free blog. This works mostly for female students, but if you are a male student and can plait hair, then the better. You can use the weekends to do this for your fellow students and charge for the service you render. I have seen students earn heavily from this especially during events and festive periods. This works mostly for the male students. Do you know how to cut hair as a student? If you can, then you should start doing so. Tell your friends about what you can do and offer to do it at a cheaper price. You would be surprised on how much you will earn in doing so. 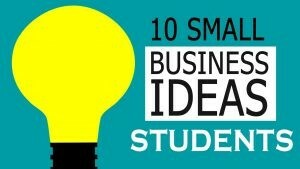 If you know any other business idea that can be beneficial to students in Nigeria, we would love to hear from you. Please use the comment section and don’t forget to share what you’ve learned with your friends. Good work I love that God bless you. The govt under ministry of education and National university Commission should be able to make it possible for student to school and way like in other counties (100). thanks dear for the advice. Brilliant ideas, this could help students a lot. These are legal means to make money in Nigeria, it serves as a means to put extra cash in your pockets to save and take care of your needs. It also lessen the burden off their parents because of the current Nigeria situation. The business idea listed for student is true because so many student are financially down and with the circumstance of Nigeria now things are difficult and parents cant be reliable all the time. The govt and NUC, should implement a policy that will allow student work and study, without it affecting there academics (100). The main objective of any student is to pass tests and examinations. But time in the busy lives of young people is such a thing that can never be in enough amount.However Nigerian students can take advantage of any of the above to earn extra money. I give strong preference to teaching because its part of my hobby as i have earned much money in time past and i hope to continue even in my new environment.